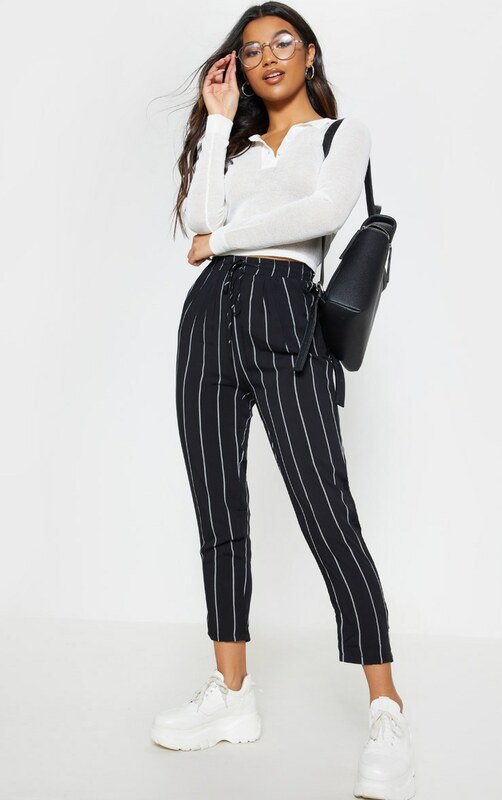 Work casual vibes in these pants. 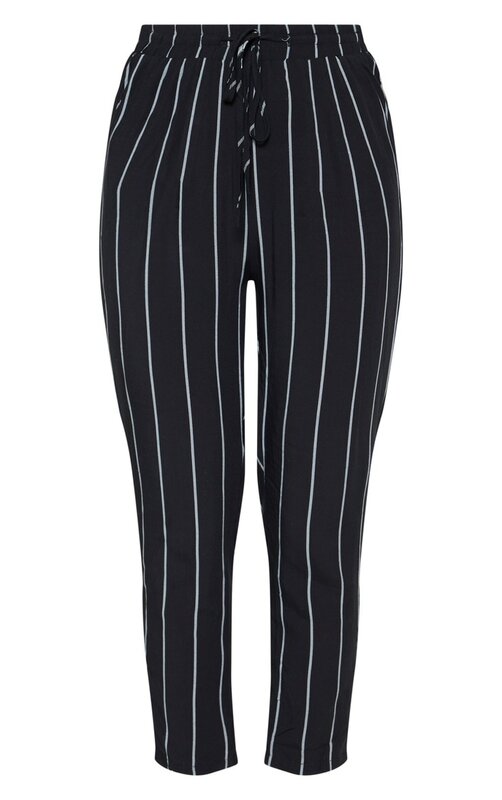 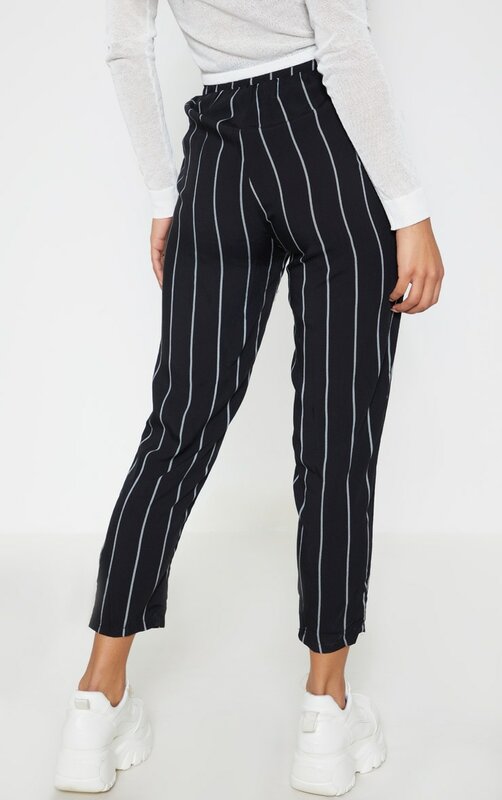 Featuring a black pinstripe design, curve-skimming fit and elasticated waist, you can't go wrong. 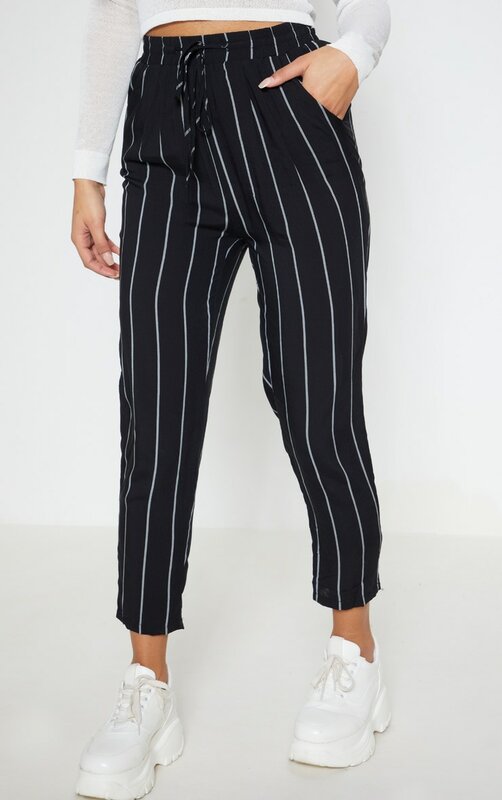 Wear with a loose fit tee and some sliders, for a cool girl look.